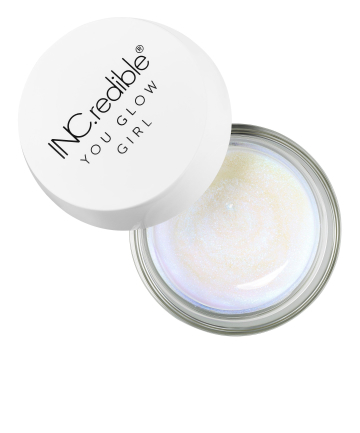 Inc.redible You Glow Girl Iridescent Jelly in Cosmic Blur, $12 This new highlighter flew off the shelves following its launch and it's easy to see why it's been such a hit. From Nails Inc founder Thea Green (Nails Inc, Inc.redible — see it now? ), the highlighter has a fun jelly texture and boasts a versatile, buildable formula. Right now, it comes in two shades and the holographic Cosmic Blur is perfect for that iridescent unicorn beauty look.